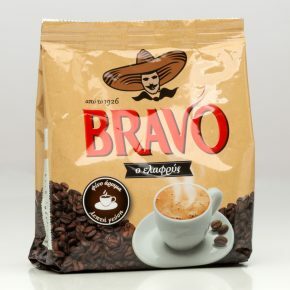 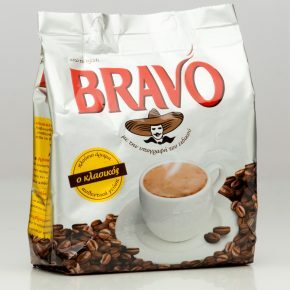 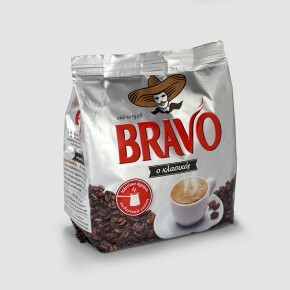 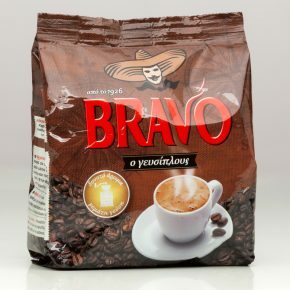 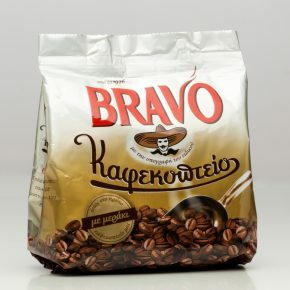 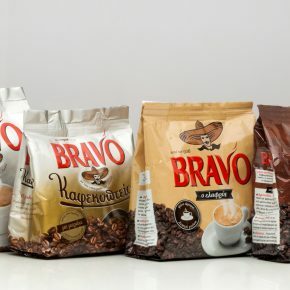 Bravo is a Greek coffee brand established in 1926. 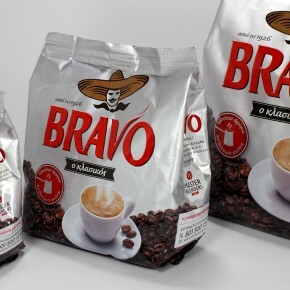 Our objective in redesigning the pack was to reinvent the elements that make this brand a classic. 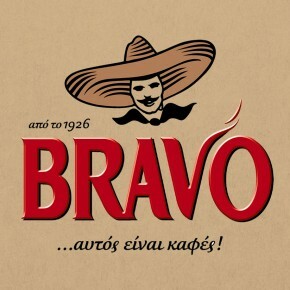 We re-introduced and revamped the hatted Brazilian man trademark, making it a central feature of the pack.